This is an extension to a standard MapForge license that you can get if you would like to use MapForge on a 2nd computer that you own. 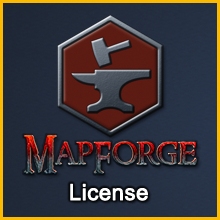 This is only for customers who have (or are getting) a MapForge license AND/OR paid content Add-Ons. See the last part of this Kickstarter Update for details. This one-time setup fee is a flat rate, and covers all Add-Ons you get now or in the future. This is being offered so that no one has to buy a 2nd license for themselves or purchase a 2nd copy of their Add-Ons. You may NOT use this allowance to permit someone else the use of your paid Add-Ons.